Al Green oozes playful sensuality on the cover of Al Green’s Greatest Hits. The album was a popular summation of his career when it was released in April 1975, showcasing his sweet, aching voice on songs such as “Let’s Stay Together.” Most greatest hits packages are nothing more than blatant attempts to cash in on previously released material. But the cover of Al Green’s Greatest Hits turned a song collection into an artistic statement. For that reason, I have chosen Al Green’s Greatest Hits as the latest entry to highlight in my ongoing series about memorable album covers. I remember buying Al Green’s Greatest Hits in 1975, when I was 12 years old. I had already owned several Al Green singles. I was drawn to that high-pitched, tender voice, so vulnerable on songs like “Call Me,” and emotional on “Tired of Being Alone.” I was fascinated by how he alternately cooed, shouted, and caressed the ear of the listener. Producer Willie Mitchell complemented Green with lush arrangements, featuring the Memphis horns. Al Green and Willie Mitchell introduce me to love and romance long before I ever screwed up the courage to ask a girl out on a date. Al Green was my artist. None of my friends where I lived in Battle Creek, Michigan, had ever heard of him. And I’m not sure their parents would have been happy if they had. Not only was his voice and manner sensual, his voice could sound downright effeminate to the uninitiated. My older sister Cathy was of dating age, and the guys she occasionally brought home viewed my Al Green 45-records with scorn. One of her dates actually smashed all of my Al Green singles during an unauthorized house party while my parents were away. Al Green’s Greatest Hits was a godsend. With one purchase, I could reclaim almost all the Al Green singles that some random cretin had destroyed. 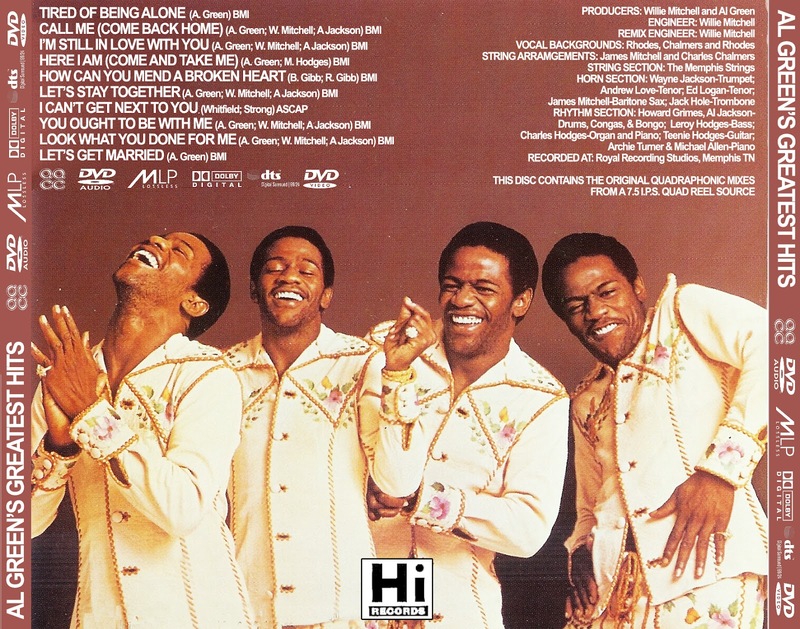 And on top of that, Al Green seemed to burst into my living room through that album cover. Here he was, smiling, full of movement, and (although I did not know the right word to use at the time), sensual. And in his tight, white leather pants and bare chest, he exuded a confidence that I hoped would rub off on me. The back cover featured not one but four Al Greens, this time fully clad in a white leather jacket, invited me to share some sort of emotional rapture. Technically, Al Green’s Greatest Hits was nothing new. I knew his songs and face already. But that cover was like a revelation: now I had the right image to go along the name. 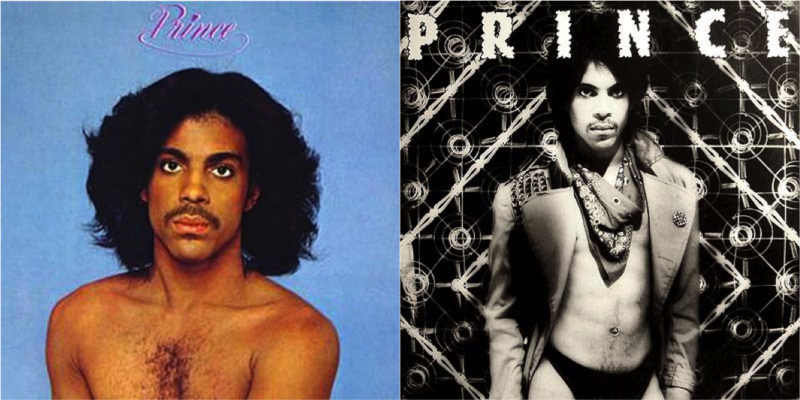 Four years later, a gifted musician named Prince Rogers Nelson would update Green’s androgynous appeal by appearing bare chested himself on the cover of Prince (then donning stockings and underwear shortly thereafter on Dirty Mind). But whereas Prince was overtly sexual, Al Green was sensual. 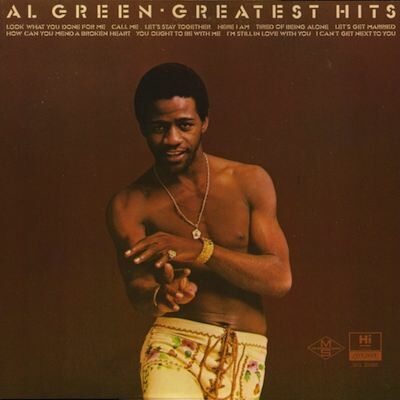 Nearly 40 years later, the cover of Al Green’s Greatest Hits still captures the essence of my Al Green. This entry was posted in Marketing, Music and tagged Al Green, Al Green's Greatest Hits, Born to Run, Bruce Springsteen, Dirty Mind, Houses of the Holy, Led Zeppelin, Led Zeppelin IV, Modern Sounds in Country and Western Music, Pink Floyd, Prince, Ray Charles, The Dark Side of the Moon. Bookmark the permalink.